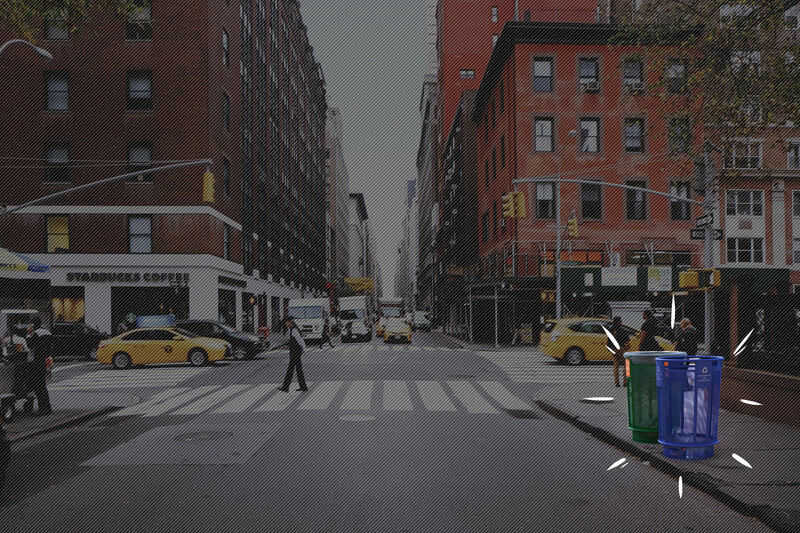 Task: to design an urban trash can. New York is a city of incredible possibilities, tremendous ambitions, magical transformations, crazy speeds and an unreal amount of trash. Urnus-17 trash cans help bring to bay this chaos of aluminum cans, candy wrappers and banana peel. 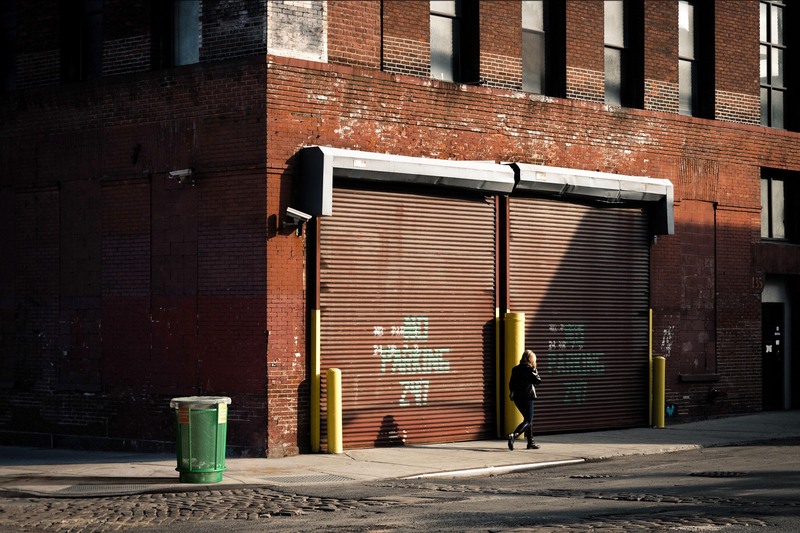 The structure of Urnus-17 is a result of detailed research: we carefully studied all trash cans installed on the streets of New York over the past hundred years. The new trash cans are free of shortcomings of previous models: they have no horizontal surfaces for people to leave trash on, no dirty lids that are disgusting to touch and its height is equally convenient for everyone, including wheelchair users. Urnus-17 is hygienic and easy to use. Mesh walls allow the trash to aerate while liquids don’t accumulate thanks to the holes in the bottom. Biochemical processes run slower, so Urnus-17 emits less unpleasant smells. Plus, the mesh allows to see how full the trash can is and whether it’s time to empty it. The bottom rim makes life difficult for rats (whose tremendous numbers is one of New York’s problems), whereas the bottom holes are too small for them to crawl through. The top and bottom rims make the trash can easy to hold and empty. 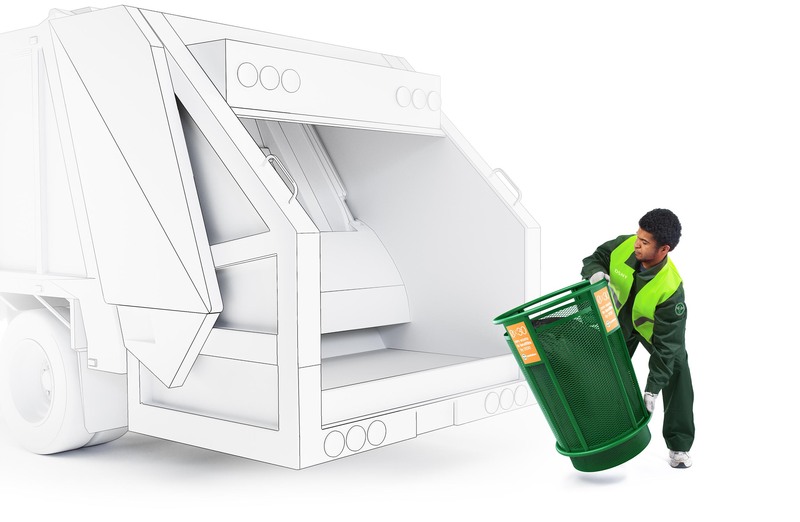 The cone shape allows to stack the trash cans making transportation easier while the mesh design makes it lighter. Urnus-17 has four spots for advertising allowing ads to be seen from all four sides. 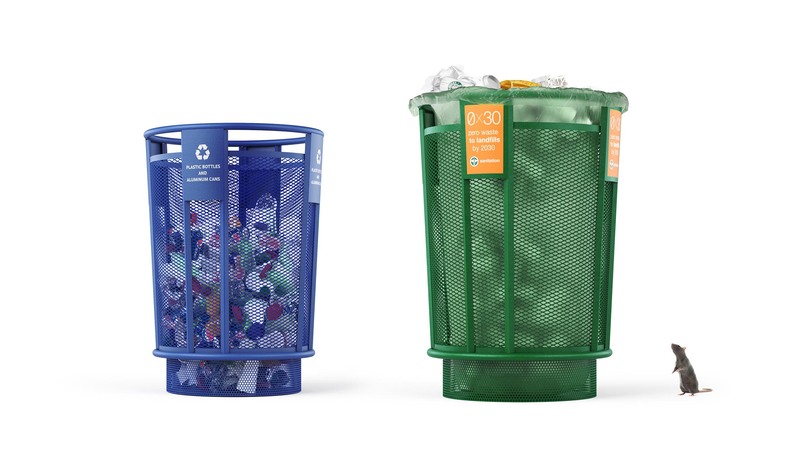 Color options help organize waste sorting.